"There is inherent in this prayer all the strength and compassion of our Father in heaven. There moves through it a beauty and a serenity which no mortal man can fully explain. It reassures our hearts, strengthens our resolve, and leads us into personal contact with God, our Father." In this moving book by "an ordinary man and a child of God," Phillip Keller takes each phrase of the Lord's Prayer one-by-one, unfolding it in wonderful detail and sharing insights hes gained and experiences hes enjoyed. Next to Psalm 23, the Lords Prayer is perhaps the most universally beloved passage in Scripture. It has been repeated millions of times by countless individuals for nearly 20 centuries. Yet, in spite of so much use and familiarity it has never lost its luster. A Laymans Look at the Lords Prayer presents that luster in a fresh way to help you rediscover its incredible power. W. PHILLIP KELLER (1920-1997) was born in East Africa and always loved the wildlife and the outdoors. Having spent many years in agriculture research, land management and ranch development in British Columbia, he later pursued careers in conservation, wildlife photography, and journalism. His experiences as a shepherd equipped him with the insights that are the basis for A Shepherd Looks at Psalm 23. 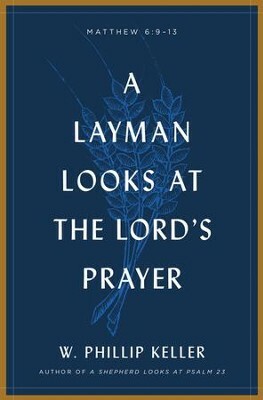 His other titles include A Layman Looks at the Lord¿s Prayer, Splendor from the Sea, Lessons from a Sheepdog, and A Gardener Looks at the Fruits of the Spirit. 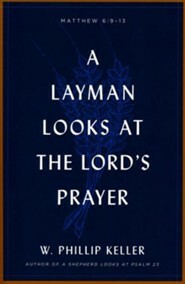 I'm the author/artist and I want to review A Layman Looks Lord's Prayer - eBook.